Kindle Cash Success is a short book of just 26 pages which shows you how to use the Kindle publishing system to make money from publishing short reports and booklets for the Amazon Kindle. I did not write this book, I admit, but it helped me produce material I have published for the Amazon Kindle. 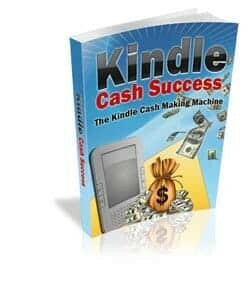 There’s practical advice and tips and hints inside which will help you get your book selling on Kindle. And if you think the Kindle is not for you, well only last week I read about a young author who sold more than 1m copies of his first novel at 99p a go by self publishing on the Amazon Kindle. It is worth a try…. !